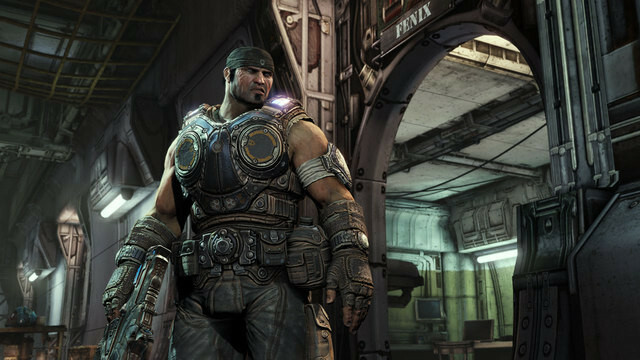 December's Games with Gold brings fans the original Gears of War game. GoW was one of the first blockbusters for the Xbox360 and it spawned a fairly large franchise with three further games. While the third in theserious was arguably the best, the GoW original is a classic game bring some memorable gaming moments. While the plot was at times completely incomprehensible the back drop of a word taken over by the locus horde was fairly original. If you’ve never played GOW, I’d totally recommend you have a crack, and if you've traded in the original, go back for a nostalgic run through! You can download the game to your Xbox 360 from 1 Dec through the 15th. Halo: Spartan Assault is coming to the Xbox One and Xbox 360 this December with a new online Co-op mode that brings the Flood into the fray. But with new content comes new achievements, and below you'll find the achievement lists for Xbox One and Xbox 360. We've broken up the Gamerscore points for which achievements are new to Halo: Spartan Assault, which are exclusive to the Xbox One version, and the original Halo: Spartan Assault achievements from the Windows 8/Windows Phone version making their way over to the console versions. For additional information including videos, screenshots and more, check out the official Halo: Spartan Assault page. Grab your controller and prepare for the Flood; Halo: Spartan Assault is poised to storm living rooms around the world this holiday! Today, 343 Industries in conjunction with Vanguard Games announced that Halo: Spartan Assault will be available worldwide for digital download this December for both Xbox One and Xbox 360. Halo: Spartan Assault for Xbox One and Xbox 360 will pit gamers in a galactic-scale war against a persistent and overwhelming enemy from long ago – the Flood. With over 30 stimulating missions at your fingertips, play longer than ever with the all-new online Co-op mode and the Operation Hydra expansion that delivered an action-packed addition to the single player campaign. Excited for the Halo 6 game? Dr. Catherine Halsey has a crucial role in the Halo series - effectively the Master Cheif's mother, she was the catalyst for the Spartan Programme and finally appeared in Reach and Halo 4. Learn more about Dr. Halsey and everything Halo 4 in the all-new Halo 4: The Essential Visual Guide which is available in stores now. Sometimes there’s a guy so cool that you just don’t want to meet just in case he isn’t actually cool. I think Bungie’s Joe Staten might be one of those guys. Not that he isn’t actually that cool, it’s that he’s that cool. Cool? Anyways, Joe is leaving Bungie. Cue the boos and hisses! Rumour has it he got fired for making Destiny too awesome. Or something. He’s actually leaving with a nice note from Bungie on their homepage. After fifteen great years at Bungie, from the battlefields of Myth to the mysteries of Halo and beyond, I'm leaving to tackle new creative challenges. While this may come as a surprise, fear not. It's been my pleasure building Destiny these past four years, and after the big reveal this Summer, our hugely talented team is on track for greatness. I'll be cheering all of them, with all of you, when the game launches next year. Thank you for your support of me, and your continued support of Bungie. We couldn't have done it without you. What’s next on the horizon for Joe? Time will tell…. Next Monday, we will release two additional armor mods free of charge for you to enjoy, and we’ll be using a Title Update to deliver them. These will be released one day before the Champions Bundle launches on Tuesday, and you’ll immediately be able to incorporate these new Support Upgrades into your Loadouts and dominate. Recharge decreases the time it takes for your shields to recharge. Survivor ejects you out of a vehicle if it’s about to explode. We hope you enjoy using these complimentary Support Upgrades in your Loadouts starting next Monday. As a reminder, the Champions Bundle will include a sneak peek of the Resistor Tactical Package, which allows players to retain full mobility despite taking fire for a few short moments. This armor mod will eventually be made available to all players in Halo 4 Matchmaking free of charge. Before we dive into how the Champions Bundle will be showcased in Halo 4 Matchmaking, we’ve got some other changes that are coming in Monday’s update. For starters, the Global Championship online qualifier will be coming to a close, and the Rumble Pit playlist will return as the premiere FFA offering. Based on community feedback, we’ve also made some changes. Rumble Pit will have a total of 15 new voting options including new Slayer game types, new objective game types (King of the Hill and Oddball) and Regicide, which is being consolidated and will now exclusively be available in the Rumble Pit playlist. While the above game types will add variety to the playlist, a Slayer game type will always be present in the first voting slot. As always, we want to know your thoughts on these game types and what else you’d like to see in Rumble Pit. Head over to the Rumble Pit Feedback Thread next week to join the conversation. We all know Jun got off Reach during the events of Halo: Reach as he was on the same ship as Halsey who turned up in Halo 4. However doubts have lingered till now as to what happened and did he really survive? A Redditor thinks he's found an answer. 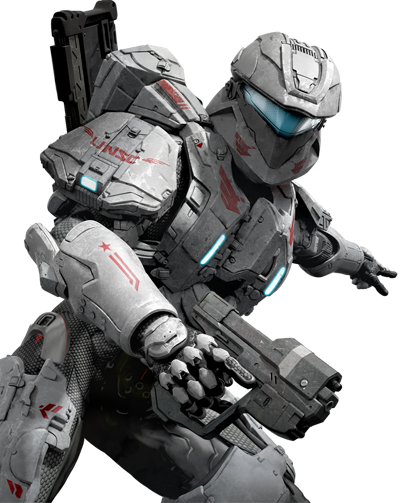 "Once an ODST, Sarah Palmer was hand-picked by former Spartan-III Jun A-266 to be one of the first candidates in the new Spartan IV program. Quickly proving herself during the defense of the UNSC Infinity from a hostile takeover by Insurrectionists, Palmer was soon called upon to lead a Spartan strike team during the historic Battle of Draetheus-V. Now the senior Spartan aboard Infinity, Commander Palmer went on to be instrumental in the recovery of the Master Chief and the defeat of Jul ‘Mdama at Requiem." Yes, yes, I hear you, the question is when did Jun hand-pick Palmer... Maybe that will be answered in Halo: Initiation. Also did they just ruin the ending of season 2 of Spartan Ops? Cos I'm pretty sure thye did as the season left on a cliff hanger with Jul alive having snagelled one half of a very important key? The soundtrack features 27 tracks from Tom Salta's original score and is available worldwide on Amazon, iTunes, Xbox Music and other digital music services through Microsoft Studios Music. 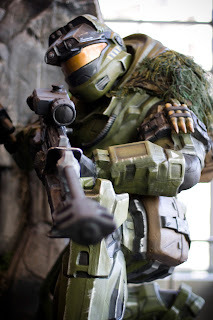 Tom Salta created an authentic "Halo" original score for "Spartan Assault," blending ethereal choral arrangements, piano motifs, rock guitars, synth ambience and sweeping sci-fi orchestral compositions that are distinctly representative of the franchise. Salta also expands the "Halo" universe with original sounds to complement the musical blueprint of the first trilogy and beyond, combined with a full modern sound production to create a contemporary and classic "Halo" soundtrack. We're it so easy to do this! 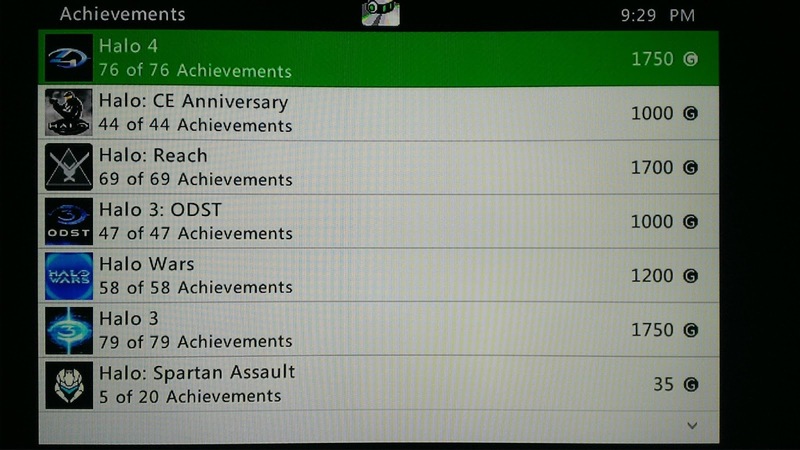 I only wish my Achievements in the Halo realm matched this players! I presume Spartan Assault played on your Windows device can be tied to your Xbox account. Have you tried the Chief's cololgne, Mjolnir? Got a big date with an A.I.? Have a desire to impress your Commander? Just want to smell fresh after along day smashing Promethean Knight's heads together? Then we literally have a solution for you - Mjolnir by the Chief. While the Elite by Sanghelli sold well, it alienated most of the UNSC fleet. UNSC Command expects this fresh and floral bouquet will freshen the halls of mess tents and space galleys like no cologne has before. Kevin Grace and Graeme Jennings have answered some fan questions on Halo: Spartan Assault! We have a suite of the old Halo favorites whilst adding some new turbocharged versions of existing weapons. Cloud saving is enabled in the game, allowing players to carry their profile over between Windows 8 (Tablet or Desktop) and Windows Phone 8. The main campaign contains 25 missions plus mission-specific and weekly challenges, which add to the gameplay duration. 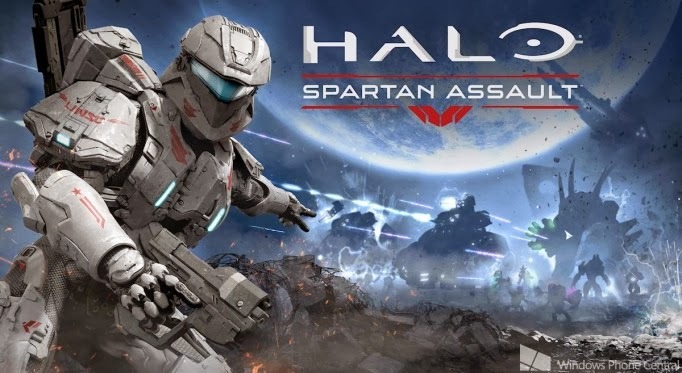 The story of Halo: Spartan Assault takes place in the hectic time between Halo 3 (where it looked like things were calming down as far as intergalactic warfare was concerned) and the start of Halo 4 (where said hopes were quite thoroughly dashed). Anybody who played Halo 4 met Commander Sarah Palmer and the idea of Spartan Ops, and Spartan Assault lets you go back and see where Palmer and this new Spartan mission structure got started. Games are saved locally and also saved to the cloud when the user is connected to the Internet. It's a bit too early to head down Spoiler Lane on this one, but you'll be fighting some familiar faces with interesting new motivations. Price is the same across all platforms. Halo: Spartan Assault is available from the Windows 8 Store or the Windows 8 Phone Store; there is no physical disc. Halo: Spartan Assault players will indeed receive extra content in Halo 4, including an Emblem and some XP. 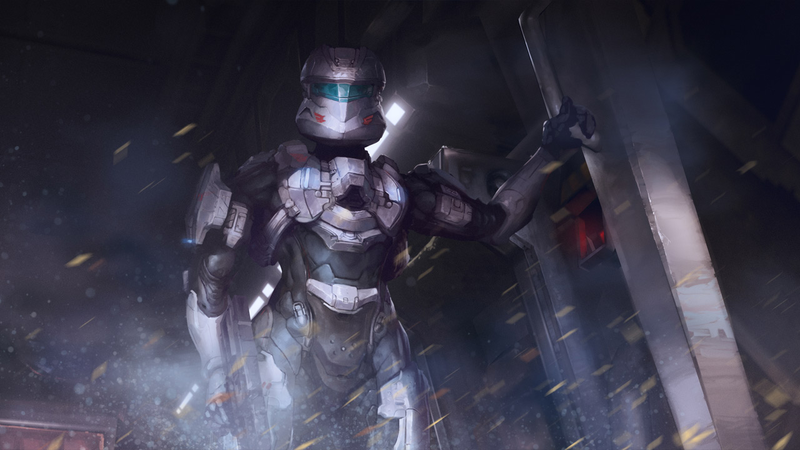 No disrespect to the ODSTs, but once you make it to the Spartans, you stay a Spartan...so no; this story focuses on Commander Palmer's early days as a Spartan-IV. We've definitely thought about visiting other important moments in the Halo storyline in a Spartan Assault kind of way, but all attention right now is on getting this first effort finished and as awesome as we can make it. July 2013. We have not yet nailed down the specific date. We’ll announce the date just as soon as the details are finalized. We'll have lots more to say about who is or isn't in Halo: Spartan Assault once the game is out in the wild (and what we have to say will make a lot more sense then, too). On the upside, though, there's not long to wait! Halo Reclaimer Trilogy is now simply a saga and Halo 5 is probably called Halo 5: The Second Search for Cortana or How the Chief got his groove back? 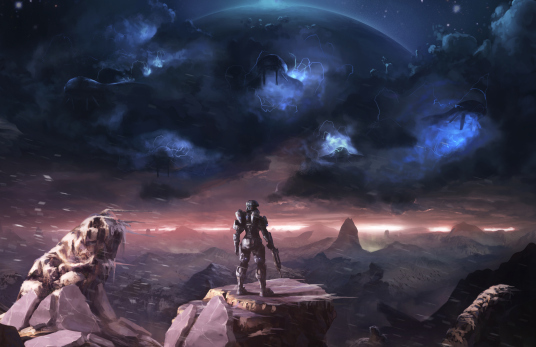 Halo 5: The Second Search for Cortana or How the Chief got his groove back? There seems to be some changes in the wind regarding how Halo is framed or presented or portrayed in the market place. 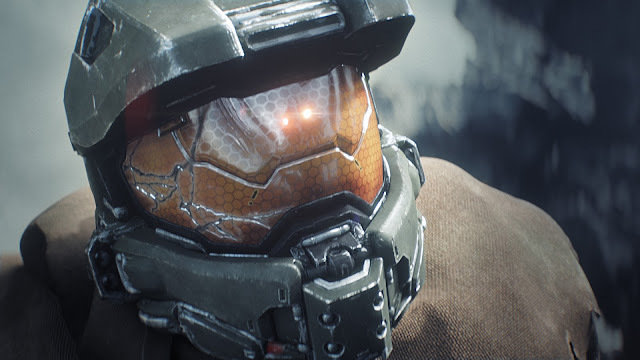 The new Halo game was announced at E3 by way of an introduction video which showed a battered and tired Master Chief trudging through the desert to come face to face with a winged mechanical monster that some have suggested is the legendary mendicant Bias. At the end of the video trumpets and Angels declare there's a new Halo coming. It doesn't have a name or a number. This is clearly a deliberate thing. You don't make expensive videos and forget to add the '5'. It just doesn't happen (Recon v. ODST issues aside) so what's going on? This article shares some insight from Phil Spencer, a big shot at Microsoft. Spencer said :"While we originally said trilogy, we've actually expanded this to more of a saga, so we don't want to limit the Reclaimer story within a trilogy. So the current Halo series is no longer called the Reclaimer trilogy. It's a saga (like Star Wars?) That much is clear but where this announced Halo game fits is unclear. Is it simply the natural successor to Halo 4 or is it a side quest? Was the true name of halo 5 to embarrassing - that being Halo 5: The Second Search for Cortana or How the Chief got his groove back, that they had to hide it? I'm probably stepping off the ledge a bit. I do wonder that this change up is due to what some might say was a less than stellar sales performance of Halo 4. I thought it was a great campaign and it looked amaze balls - certainly it was better than Reach but it was no Halo 3 so perhaps sales adjusted accordingly. It just didn't capture the hearts of a lot of casual gamers to reach a mass tipping point of success (sales wise that was H3). Not so many people appear to be playing multiplayer - I hardly play that mode these days (which is probably due to being a new father more than anything) but I gather its more widespread - Spartan Ops was awesome but again, I understand it didn't perform as expected. So I'm thinking given that while Halo 4 was a good game, it wasn't the GREAT AND ULTIMATE Halo game 343 wanted to make and have others perceive as such - so I think they may have gone back to the drawing board in an effort to make the next Halo game able to be conceived as a GREAT AND ULTIMATE Halo game rather than simply being Halo 5, the sequel to the good but not GREAT and ULTIMATE Halo 4.